When Year 6 were set the holiday homework assignment to produce a piece of creative writing, it is unlikely any of our pupils expected to see their work to appear on Amazon. Mia Hickman, now in Year 7, handed in her work hoping for a good grade and some feedback from her teacher. To Mia’s astonishment, her 36-page creation was considered of such excellent quality it could be published! Mia returns to Berkhamsted Prep to launch her book to the children. The story is set in the Viking era. Mia’s well-crafted main character (Luna) arrives on the Island of Ice looking for a peaceful life. The gripping adventure takes a turn when Luna and friends come face-to-face with a long-time enemy. Readers then uncover the unexpected secrets of the mysterious man from the ice. The young author is already starting to see success with the book sales in the UK and US. 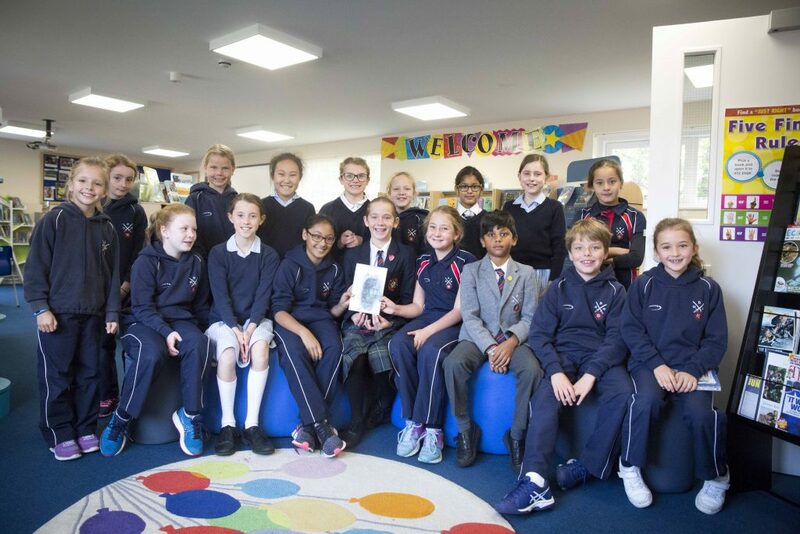 Prep children rushed to the library to talk to the author who moved from Prep to Senior School in 2018. Mia said “The theme set for our homework task was ‘war’. The most obvious topics were the Syrian Civil War or the World Wars, but I wanted to write about something different. I wrote the story instinctively, without excessive planning. The homework deadline was to write the piece within a week; however, I did find time to consider the finer details. I wanted the characters to have authentic Viking names so I researched the origins and meanings and found ‘Björn’ and ‘Beowulf’ fitted well as they are related to nature. Mia dedicates the book to her teacher Miss Emma Richardson. 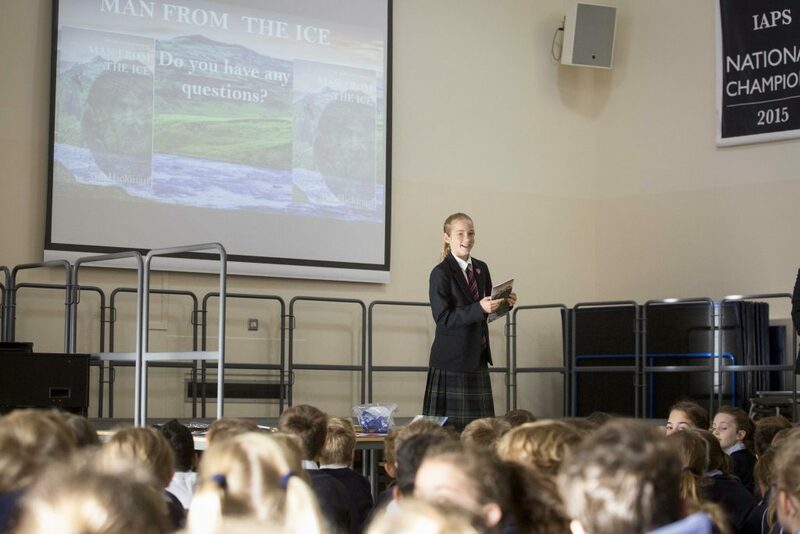 While ‘Man from the Ice’ was an individual effort, Mia recognises the support and encouragement from her teacher to get the novel on the market. Berkhamsted Prep’s Head of Pastoral and English Teacher Emma Richardson said “Mia’s writing ability is incredibly high. She is passionate about books and this is reflected in her use of rhetorical language and mature adjectives. “Upon reading and marking ‘Man from the Ice’ I recommended Mia should explore the possibilities of publishing it. The standard was exceptional, and I believed it would be of interest to a wider audience. With support from her father, Mia learned many new skills in the process of getting the book published.